I was debating on recapping this because recapping a show can take some of the joy out of watching and experiencing a show and fulling immersing yourself in its world. I always find myself more focused on getting the right screencap, and getting irritated when VLC drags than being moved at Shijin and Moyeon’s reunion in DOTS. It’s why I’m not recapping the utterly phenomenal Pied Piper at the moment. However, I love, love, love Ji Sung though so I’ll end up reviewing this show anyway. So I’m weighing on the first episode and I’ll leave all thoughts of recapping for later because my favourite K-actor IS BACK IN FULL FORM! Moyeon and Shijin have an extremely emotional reunion in the desert. Both cry, clutching each other tightly. Moyeon can’t believe he’s still alive, but is just grateful he’s back. Shijin smiles while listening to something on his phone when Moyeon shows up, announcing that he is cleared for discharge. Hey guys! I was hoping to get a recap in tonight but I’m just so tired and up to neck in coursework that I don’t think I can do it. Sorry! 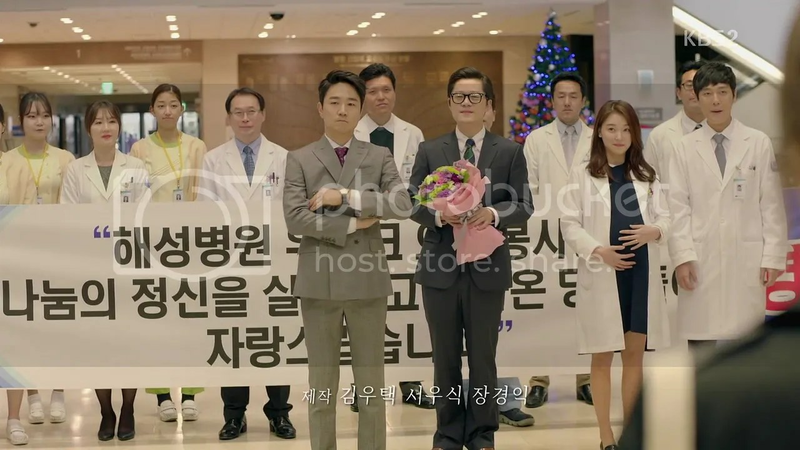 The doctors are greeted enthusiastically on their first day back at Haesung Hospital by everyone save Director Han Seokwon. Shijin drives off to Argus’s lair looking determined as hell, while Jin Gu fears that something bad’s happened. Myeongju opens her eyes to find Daeyoung standing by her beside. She smiles wanly and rises, assuring him that she’ll be fine now. He quietly says it’s a relief. Myeongju notices then that he’s outfitted in nondescript black gear and asks why he’s dressed that way.